The project My Lawyer, My Rights is implemented in collaboration with 9 European and International organizations that work for children’s rights. The main objective of this joint project is to increase respect for the rights of suspected or accused young people in criminal proceedings and to improve the training of youth lawyers in order to ensure that young rights and needs are respected during the proceedings, and to guarantee the protection of their fundamental rights. Defence for Children – Belgium is the Belgian section of the NGO Defence for Children International (DCI), whose goal is to promote and protect children’s rights at the local, regional, national and global levels. DCI’s four main areas of intervention are: migrant children, juvenile justice, the right to expression and the right to education. DCI-Belgium has been working in the field of juvenile justice for many years, seeking to increase respect for the rights of the children in the justice system. 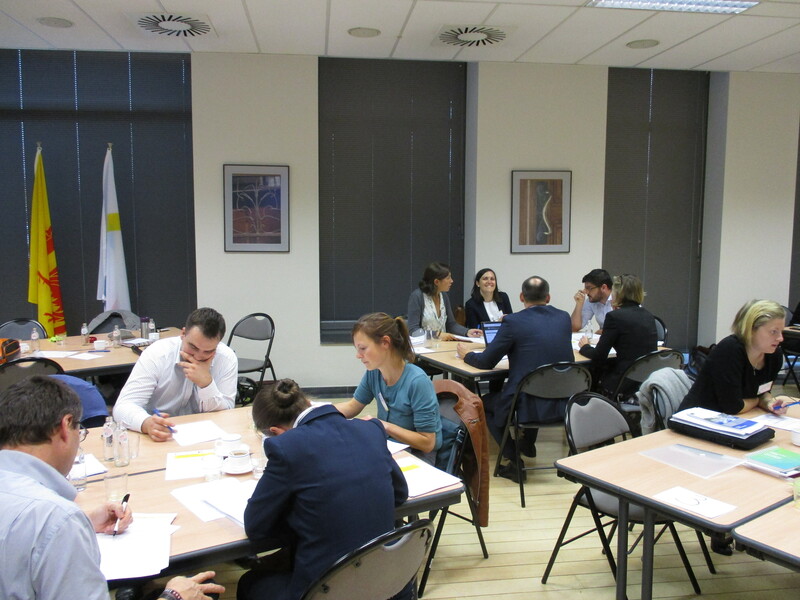 Currently, DCI is the leading partner of the European project « My Lawyer, My Rights », which aims to enhance the protection of children’s rights involved as suspects or accused in criminal proceedings. DCI Italy is a voluntary organization established in Italy in 2005 which focuses on protecting and promoting the rights of the child. Its main areas of intervention are juvenile justice; migration; children on the move: protection from violence, exploitation and trafficking; media and children’s rights; and training activities on participation and human rights. In the recent years DCI has been working in the field of Juvenile Justice through a series of projects mainly focused on research/analysis, training and advocacy activities. In particular it began working on a project targeting children in conflict with the law for their successful integration after the criminal experience, it has participated as partner in the project Children’s Rights Behind Bars whose main result was the elaboration of a practical guide for the monitoring of places where children are deprived of their liberty, and has also coordinated a project called TWELVE on the promotion of the article 12 of the CRC and more in general of the notion of participation as a key element of the rehabilitative scope of the juvenile justice system. All this experience allowed the organization to establish significant relation with key actors working in the field at national level. In particular, DCI Italy is collaborating closely with the department of juvenile justice of the Ministry of Justice in order to give sustainability and solidity to the actions taken and promote a child rights based approach between the juvenile justice services. The Helsinki Foundation for Human Rights is a non-governmental organization established in 1989 in Warsaw. Its mission is to promote the development of a culture based on the respect for freedom and human rights in Poland and abroad. The main areas of activity of the Foundation are : International education programmes (theoretical training courses on human rights issues, training courses for participants from outside Poland to develop the ability to act effectively in defense of human rights, and training courses for professional groups (e.g. lawyers, Police officers, journalists and teachers)); National education programmes (education programmes and initiatives addressed to different target groups – e.g. the International Film Festival WATCH DOCS. Human Rights in Film one of the biggest human rights festival in the world, gathering thousands of viewers around Poland); Activity in the public interest (monitoring of the legislative process, monitoring of public institutions, strategic litigation and provision of free-of-charge legal assistance to Polish citizens, refugees and members of national minorities, and research on human rights-related matter, most recently on procedural safeguards in criminal proceedings). The Child Law Clinic, School of Law at University College Cork is an initiative which provides student-led research services to lawyers litigating children’s issues. This pro bono research service aims to enhance the quality of litigation in children’s cases, with a view to achieving progressive reform of child law in Ireland and internationally. The Director of the Clinic, Professor Ursula Kilkelly, also leads a team of researchers who are currently working on child rights advocacy, children’s participation and children’s access to justice. Defence for Children The Netherlands is an independent children’s rights organisation, founded in 1989. Defence for Children The Netherlands is dedicated to ensuring on-going, practical, systematic and concerted national and international action aimed at promoting and protecting children’s rights as articulated by the United Nations Convention on the Rights of the Child, its optional protocols and all other human rights standards and instruments. The actions of Defence for Children The Netherlands include advancing and monitoring the implementation of standards for children’s rights; advocating and lobbying for children’s rights; targeted research; technical support and training professionals in the implementation of children’s rights; advice and support for children, parents and professionals through the Children’s Rights Helpdesk. Defence for Children The Netherlands is member of the global network Defence for Children International with about 40 member organisations worldwide. The Bulgarian Helsinki Committee was established on 14 July 1992 as an independent non-governmental organisation for the protection of human rights. The objectives of the committee are to promote respect for the human rights of every individual, to stimulate legislative reform to bring Bulgarian legislation in line with international human rights standards, to trigger public debate on human rights issues, to carry out advocacy for the protection of human rights, and to popularise and make widely available human rights instruments. CHILD CIRCLE is a non-profit organisation (ASBL), established in Belgium in February 2014. Child Circle acts as a centre of expertise focussing on the child protection dimension of EU measures, through expert contributions to regional policy, practical projects concerning the implementation of EU measures and exchange of knowledge and learning. In particular, Child Circle promotes European action which improves child participation and supports professionals to work together to protect children. Several ongoing Child Circle projects concern children in justice proceedings, including the PROMISE Project which concerns child victims of violence and the Separated Children in Judicial Proceedings project. DLA Piper is a global business law firm with lawyers located in more than 30 countries. We are committed to using our resources to make a positive contribution to the communities in which we operate and to the protection of human rights around the world. As such, we have developed a vast local and international pro bono practice in parallel to our commercial work. DLA Piper is providing pro bono support to the My Lawyer, My Rights project by conducting national legal researches in 14 European countries. The European Criminal Bar Association (ECBA) is an association of independent specialist defence lawyers. The association itself is wholly independent and free from outside interference. The primary purpose of the European Criminal Bar Association (ECBA) is to be a leading group of independent criminal defence lawyers in the Council of Europe promoting the fundamental rights of persons under criminal investigation, suspects, accused and convicted persons. 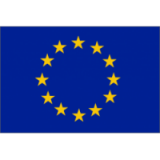 This project is co-financed by the European Commission as leading funder within the framework of the Criminal Justice Programme.